Homemade pies, pastries and other treats! Welcome to Blossom Hill Farm! 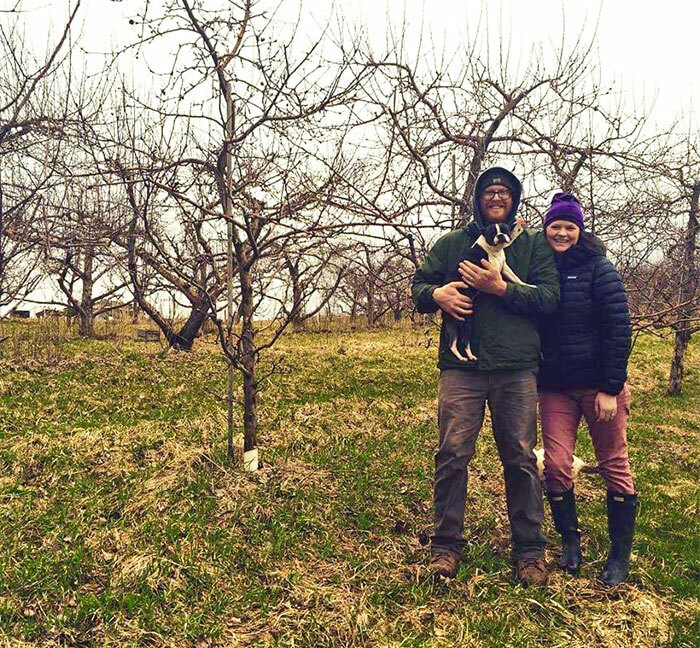 Located just outside of Preston, Minnesota in the heart of Driftless Region, Blossom Hill is a small, family owned farm. 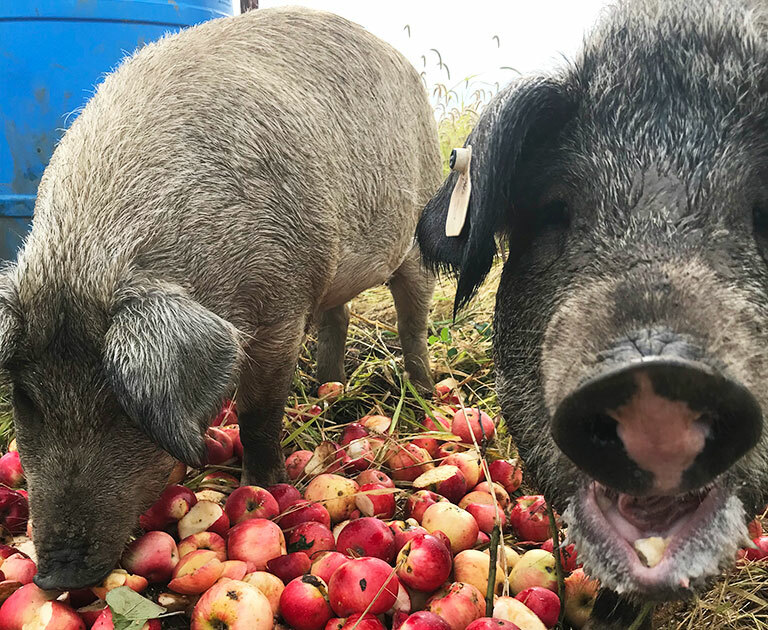 We strive to grow the tastiest, most nutritious apples and delectable pork using the most sustainable methods available. 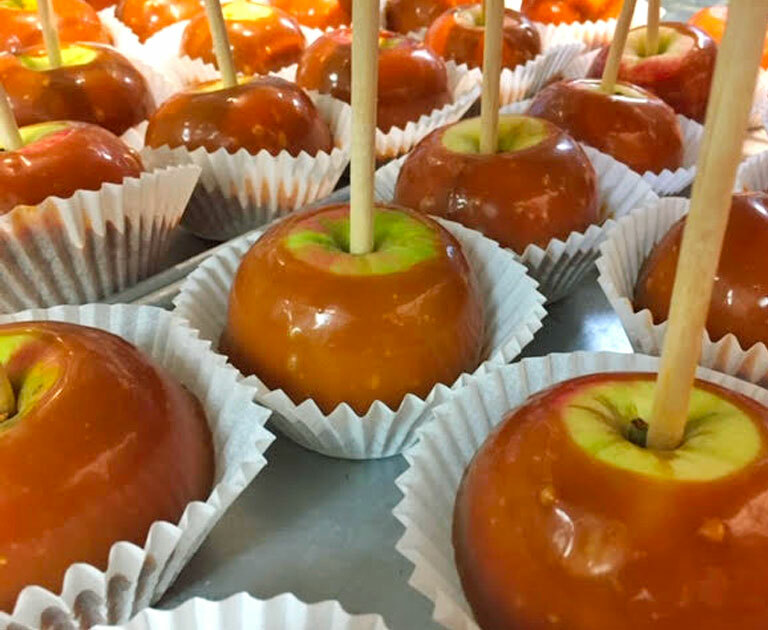 We grow over 30 varieties of apples so no matter what your preference may be we are sure to have an apple for you! Our Orchard Market offers a wide variety of seasonal produce, baked goods and locally sourced items. Dane grew up in Rochester, Minnesota. After completing a degree from the University of Minnesota he moved to the foothills of Northern Colorado. It was during his time in Colorado that Dane really put that history degree to work and took a job on a vegetable farm. After his first season he was hooked and knew that growing good food for people was his passion. Hillary grew up in Rochester, Minnesota. She attended the Apicius School of International Hospitality in Florence, Italy where she earned a degree in culinary. She brought her skills back to the states and worked at the best restaurants in Rochester. Hillary also lived in Colorado and it was during her time there that she and Dane met (even though they graduated from the same high school). 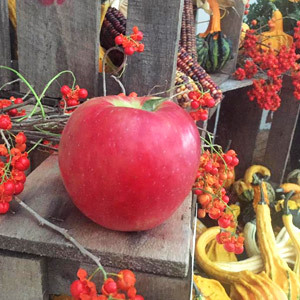 Being an apple orchard, September and October is a great time to visit us. 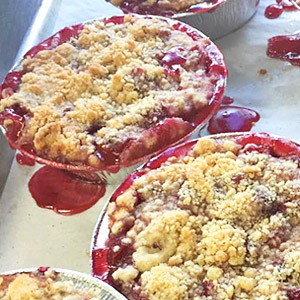 We have wagon rides through the orchard on weekends as well as pick-your-own apples. 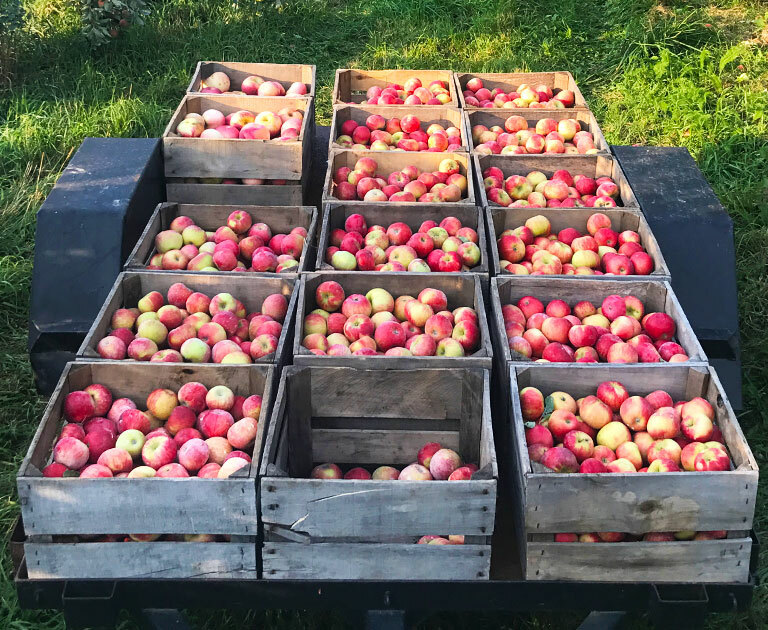 Varieties: Lodi, State Fair, Oriole, Duchess, Gala, Chestnut Crab, Whitney Crab, La Crescent, SweeTango, First Kiss, Zestar!, Wealthy, McIntosh, Honeycrisp, Golden Supreme, Sweet 16, Cortland, Haralson, Wolf River, Akane, Empire, Prairie Spy, Honeygold, Jonathan, Keepsake, Fireside, Connell Red, Regent, Cameo, Idared, Red Delicious, Pazazz. Baked Goods: Pies and apple turnovers are our specialties but you will also find a delicious assortment of cookies, brownies, bars and pastries. 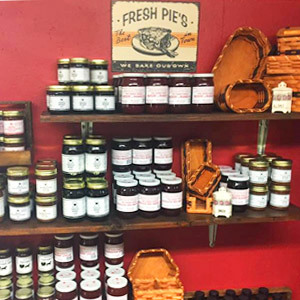 Specialty Foods: We carry a wide assortment of jams, jellies, pancake mixes, salsa, popcorn, and honey from bees kept in our orchard that help to pollinate the apple blossoms each spring. Pigs were a new addition to the farm in 2018 and what an awesome addition they were! Not only are they fun to manage, they also play a pivotal role in the orchard. We bring them into the orchard after harvest to help clean up all the dropped fruit that can harbor unwanted pests and funguses. We buy 40lb pigs in the spring from an organic farm just 35 miles away, raise them on pasture with a supplement of organic feed. Please contact us if you are interested in purchasing our pork. 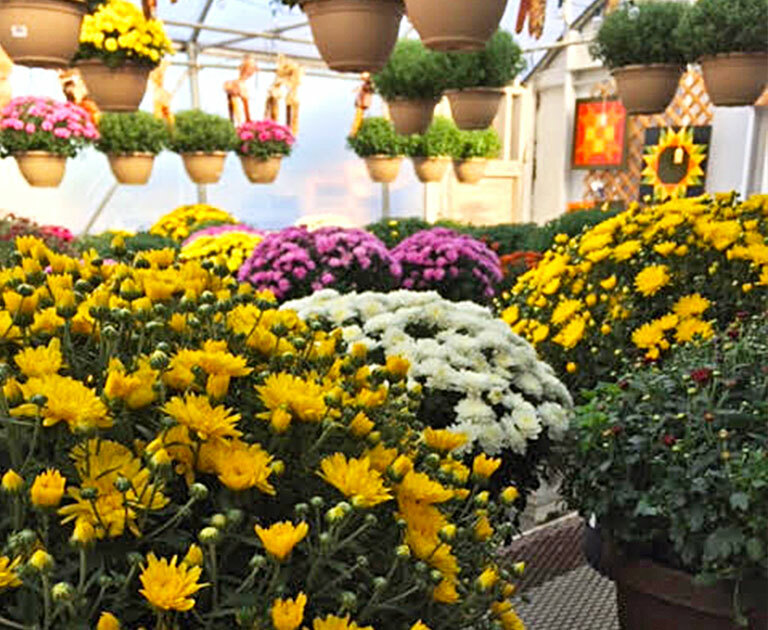 Weather you need flowers to create a beautiful flower bed, hanging flower baskets for your porch or vegetable starts for you garden, we have you covered. We are proud to carry Cowsmo Organic Potting Soil. The greenhouse is open from mid-April until the end of June. 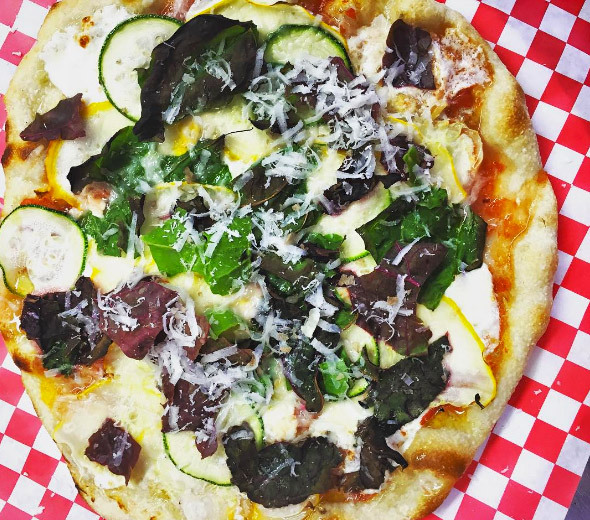 Come out to the orchard for a really great, made from scratch pizza using the best ingredients our area has to offer. Whether it’s a kid’s birthday party or a corporate event, who doesn’t love a pizza party!? In addition to the pizza we can offer a variety of salads and desert options to make you event truly delicious. Contact us for more information, we would be happy to work with you to create an awesome event. We love our farm and love seeing people enjoy the farm as we do but please keep in mind this is a working farm so certain precautions should be made. 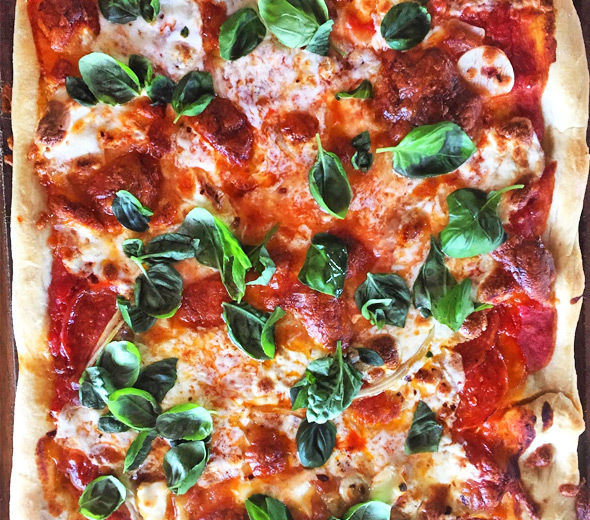 One of the reasons we have pizza nights is for friends and families to come and enjoy a night away from the city. 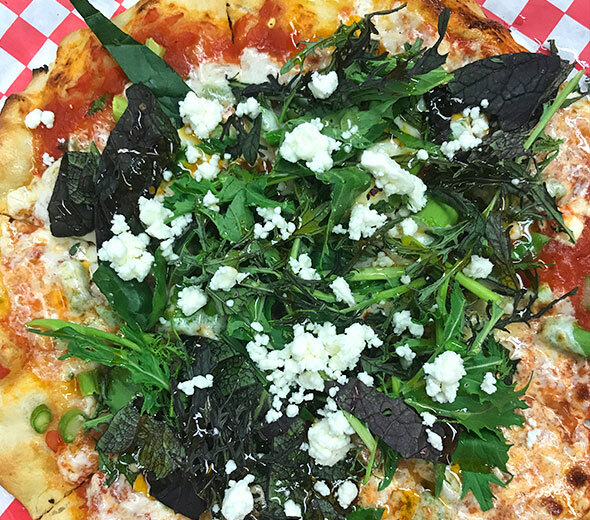 We have a large, open, grassy area for the kiddos to play but please keep an eye on them, we can’t, we’re busy making pizza. There are lots of things that look like they would be a blast to climb on but, again, this is a working farm, please stay off farm equipment. We know it may be tempting to wander around bare foot but please keep your shoes on, and while you’re out wandering please respect all posted signs. Feel free to take a stroll in the orchard but please do not pick any apples, during apple season everyone who comes out for pizza nights will get a free apple! Even though we use only organic inputs in the orchard it is sometimes necessary to keep out for a short period of time after a spray application, signs will be posted at orchard gates. Do not climb the trees, this is for your protection and the tree’s. The pigs: Please go check out the pigs, they are a lot of fun to watch but please be kind and respectful. Do not touch their fence, they are ELECTRIC. Our pizzas are served either in cardboard boxes or reusable pizza rounds, please bring additional plates, silverware and napkins if you so desire. Gluten-Free crust is available for an additional fee. Soft drinks and water are available for purchase. We love animals but please keep your pets at home. Smoking is prohibited anywhere on the property of Blossom Hill, even the parking lot. Thanks, we can’t wait to see you! Mid-August - October - APPLE SEASON!